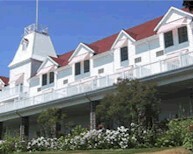 135-year-old resort on Lake Muskoka. 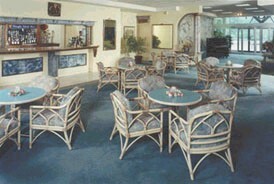 Specializes in smaller functions of up to 85 guests but can accommodate up to 170 guests. Tents available for overflow. Total room capacity for overnight guests is 200. 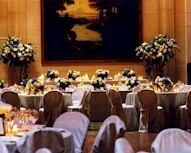 Has large selection of ballrooms and meeting rooms. 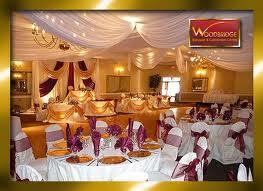 Woodbine Banquet and Convention Hall Ltd. 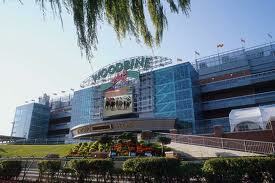 The most famous track in Canadian horse racing accommodates groups as large as 800 in its private meeting rooms. During racing events, trackside tents are available for group rental, and members of the company’s player services team offer wagering assistance. At Woodbridge Banquet Halls, we strive to make every gathering a pleasurable and memorable one for you, your family, friends and business associates. Our highly qualified and experienced consultants and staff will assist you in the planning of Baptisms, Birthdays, Graduations, Weddings, Anniversaries, Business events or any other special occasions or celebratory moments. Wooden Sticks is one of the finest golf facilities in the province. We offer a stunning country club atmosphere and first class service for your onsite ceremony, cocktails, reception and accommodation. Our all inclusive wedding package will help put your mind at ease knowing that everything is being taken care of! 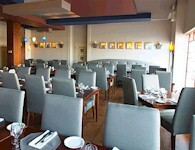 Has private party room for functions of up to 80 guests. Part of Harbourfront Centre. Renovated wrehouse has 10 different performance, dance and exhibition spaces. 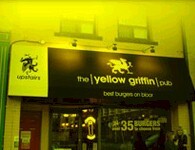 Features many Old World artworks on walls and single malt whisky bar with over 50 brands. Antique wedding chapel with bridal lounge on site. Off-site caterers not allowed. Italian restaurant has facilities for private functions. © 2009, All rights reserved, FindABanquetHall.com Website Hosted and Designed by The Biz Services Inc. Thank you for using FABH!